This Krabi accommodation is beautifully laid out with stunning views from the infinity pool and rooftop bar being the highlight. Aonang Cliff Beach Resort is a short half hour drive from the airport and a 5 minute stroll from the beach. The resort features facilities to help you enjoy your stay including a large swimming pool, restaurant, fitness room and day spa. This is an advance purchase rate that must be booked more than 30 days prior to arrival. Aonang Cliff Beach Resort is located in the popular region of Ao Nang. This affordable Krabi accommodation offers a selection of room types to choose from as well as a restaurant, bar, swimming pool, day spa, and more. 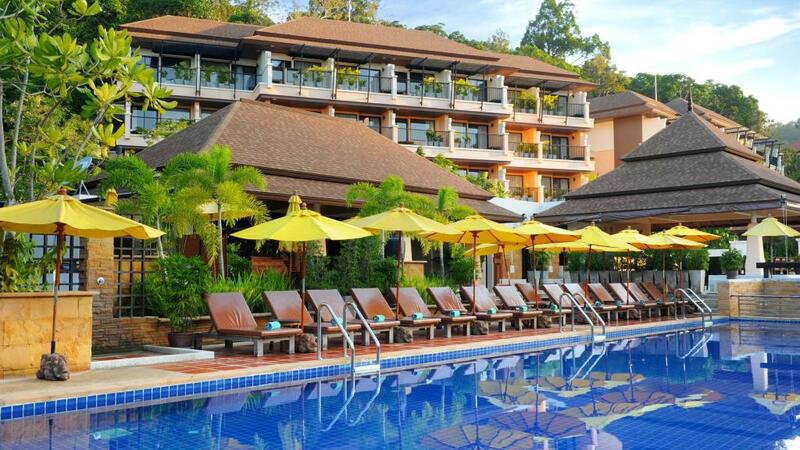 Aonang Cliff Beach Resort is close to shopping, restaurants and the beach.